Needless to say I had pre-ordered it and was waiting to lay my hands on it as his blog is one which I love to visit. And though I hate horror as a genre very much for it renders me sleepless at nights his blog and book comes under an “exception” tag. Sriramana has been blogging for almost 9 years now at Malignant humor in my head and I know him as Phatichar. Apart from being a wonderful writer that he is , he also works in an IT firm in Bangalore and lives there with his wonderful wife and daughter. 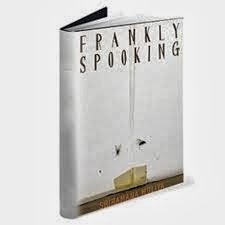 The first thing I noticed about this book was its title- Frankly Spooking, intriguing and at the same time attention grabbing. The cover page equally attention seeker though it was very mild and somber in design. This was a prelude perhaps to all that I was going to witness in the pages that unfolded before me slowly as I began reading the book. The best thing about Sri’s writing style is the simplicity. He never uses any big words where the reader is baffled for either he has missed the meaning or not understood the context of its usage. Either of the situation is bad for a writer for it leaves the reader unsatisfied. Sri as an author scores full marks here as he leaves the reader asking for more and more. The strongest point in horror has to be its narrative which needs to be very gripping. The author has to ensure the flow is fluid for the reader leaving him flabbergasted in the end. Any loopholes in either of them the story is doomed. As an author Sri scores well here too for his stories have a particular tightness about it where it grabs the reader’s attention from the first word as the reader keeps turning page after page just to see what happens next only to be shocked. There are instances where I have not read the book at night solely for the fear of getting nightmares. And yes it has happened with me many times even after reading his blog. Overall for a debutant Sri has done an exception job for a genre like horror. Take a bow Sri! He has raised the bar very high not only for himself but for those aspiring authors who would want to take a plunge into this genre. 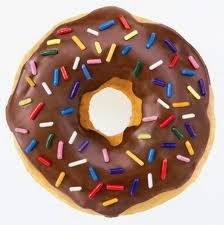 This book is like a doughnut. Chocolatey, delicious and irresistible.